internally displaced persons (IDPs) in the north-east and the acute malnutrition ravaging their children, 162,696 bags of rice donated by the Chinese government to the IDPs have been abandoned and left to rot in stores belonging to the National Emergency Management Agency (NEMA). What led to this? Who is responsible for this 'abuse'? According to the United Nations, Nigeria is still facing a crisis of global magnitude with 7.7 million people in need of humanitarian assistance in the north east. In June 2017, the Chinese government had donated and shipped a total of 6,779 metric tons of rice, which is 271 trucks and approximately 162,696 bags of rice into the country’s seaport meant for distribution to IDPs in the north-east as food assistance. Government agencies, like the ministry of budget and national planning, ministry of agriculture, ministry of finance and NEMA were tasked with different responsibilities of receiving, clearing, storage, transportation and distribution of the consignments to the IDPs. But one year later, after the food items were cleared from the port, they have not reached their destinations – even after another N161m was said to have been spent on transportation, delivery and logistics. 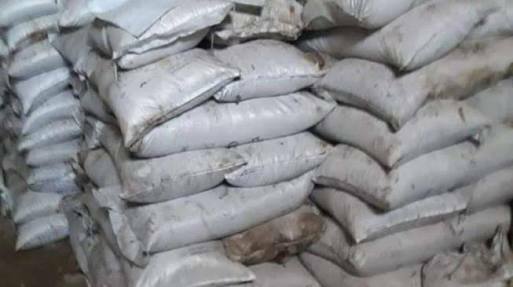 In April, while testifying in company of an official of the Nigeria Customs Service before the house of representatives ad hoc committee on emergency and disaster preparedness, Mustapha Maihaja, director-general of NEMA, denied that the rice was missing. Maihaja told the committee that the first batch was cleared from the ports and stored in a warehouse in Maiduguri, Borno state, and Yola in Adamawa state. However, the state governments where the beneficiaries are have denied receiving any single bag of rice from the consignment purported to have been delivered and distributed to the IDPs by NEMA. Meanwhile, a report by the investigative committee indicted the governing board of NEMA, chaired by Vice-President Yemi Osinbajo, and recommended the dismissal of Maihaja over breach of public trust and alleged fraudulent practices. In a telephone interview with TheCable, Sani Datti, NEMA spokesperson, said it is not true that the whole consignment is still with NEMA. He said the organisation started distributing them last year. “The distribution started last year. Some of the items are still there and they are being distributed monthly. It’s not that we kept them. We distributed them directly to the beneficiaries. You know the items are large in quantity. I’m a little bit busy right now. You can get my attention later,” Datti said. Datti, however, has not responded to inquiries sent to him to provide more information on the quantity of rice distributed so far, the ones still with NEMA and their current condition, the states that have received the items and when they were distributed.